With the steady increase of CEO turnovers worldwide hitting a high of almost 15 percent in 2013, investigating the impacts of changes at the top management level is a timely topic. Their study examined how private lenders, such as banks, react to a CEO turnover and subsequently incorporate this change into their loan decisions. As anticipated by the scholars, the outcome confirms their hypotheses. “Our results have shown that banks do indeed take this CEO turnover into their lending decision,” Deng said. “Hence there are adverse effects of turnovers on both the price and non-price terms. Specifically, she said, the banks will charge more interest rates on the firms with turnovers when they borrow bank loans. The banks also are more likely to require collaterals attached to the bank loans and impose more strict covenants on the borrowers. Clearly the worry about the new boss commonly causes uncertainty that leads to financial repercussions. But by being aware of such a domino effect, the firms can take immediate steps to alleviate uncertainty among their lenders. In case of a forced turnover, for instance, one such step could be the hiring of an outsider, according to the SIU scholars. 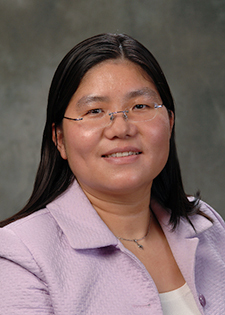 During this past summer, Deng and her colleague worked closely on this particular project and made good progress thanks to the receipt of the 2014 Annual Summer Faculty Research Grant (SFRG), which gave them the necessary financial freedom to focus on their research. Another major success factor was the collaboration itself. Deng and Intintoli are in the process of evaluating additional analyses, and they plan on submitting the paper in time for the start of the spring semester. “We are excited to share our findings with our students to have them benefit from cutting-edge research, and we strongly encourage them to keep up with the latest industry journals at all times,” Deng said. And that’s the beauty of a research higher institution such as Southern Illinois University.